I have to say no, I don’t have recommendations, because this kind of information has never been gathered. There are a few anecdotal reports, perhaps, but nothing I can stand behind. Independent living communities? Memory care facilities? Likewise. I wasn’t comfortable with this situation, so I started doing some research. I learned that responses to the growing need for welcoming senior living communities for aging LGBT baby boomers—those born between 1946 and 1964 (the largest age cohort in the U.S.) who are now between 53 and 71 years old—have branched in two distinct paths. The first path has been the creation of senior living communities oriented and marketed primarily or specifically toward LGBT elders. At this writing, there are 21 of these scattered around the country: six in California, two in Florida, two in New York, two in New Mexico, and one each in Massachusetts, Oregon, Ohio, North Carolina, Washington, Minnesota, Pennsylvania, Illinois, and Washington, D.C. While this trend is heartening in some respects, it’s clear that of the estimated 1.1 million LGBT adults 65 and older, very few will be able to access, let alone afford, such places. That leaves the other path: that of working toward creating welcoming environments in the hundreds of thousands of senior residences and care facilities in the U.S.
Several national-level LGBT organizations have taken on this challenge. SAGE (Services and Advocacy for GLBT Elders; sageusa.org), MAP (Movement Advancement Project; lgbtmap.org), the National Resource Center on LGBT Aging (lgbtagingcenter.org), and others, are hard at work doing research, publishing findings, creating policy, and training LGBTQ activist presenters around the country. 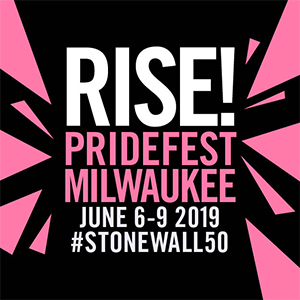 Here in Dane County, I’m working with our many allies and community members within and outside of senior residence and care facilities who can help advance the goal of affirming environments for LGBT elders. 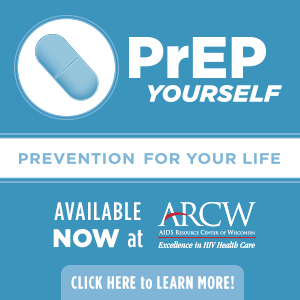 In response to the growing need, to the newly available research on LGBT aging, and to the energy in the larger Dane County communities that I believe is waiting to be engaged toward this goal, OutReach’s Am I Welcome Here? Project is newly underway. Initially, my hope was to reach all of the senior residences and care facilities in Dane County. I realized I’d have to backpedal when I learned there are over 300 of them! I decided to focus on assisted living and memory care residences, because of what going into assisted living means: that the aging person can no longer care for her/him/theirself in the self-sufficient and independent way that characterizes adult life. To need assistance in the tasks of daily living is to be dependent on other people whom you do not know, in a way that you have never needed before. This represents a huge loss to anyone; but for LGBT people, this may well mean dependency on individuals who may disapprove of, dislike, or even be hostile to you, just because you are LGBT. It’s for this reason that over 1/3 of LGBT baby boomers identified fear of discrimination, compromised care, and bullying in senior housing as one of their biggest fears about aging. In fact, a 2014 study by the Equal Rights Center found that 48% of LGBT-identified seniors “experienced unfavorable differential treatment in terms of availability of housing, pricing, financial incentives, amenities or application requirements” just in applying for senior housing. The Am I Welcome Here? Project has three main parts. The first is a survey—with a cover letter explaining the Project’s purpose and goals—which has been sent out to almost 90 locations. The survey asks each facility’s director to self-assess LGBT cultural competence in three areas: overall knowledge about LGBT elders’ histories and how lifelong discrimination has affected many of us; LGBT terminology and culture; and specific action steps to make their facility LGBT-affirming, from adding additional options to gender and marital-status questions on forms, to putting LGBT images and information into their décor and libraries. Staff trainings in each of these areas are being offered, and participating organizations are given an incentive: a free listing in OutReach’s annual directory, indicating they have engaged in building their LGBT cultural competence. Cultural shifts take place steadily but gradually. In addition to the trainings themselves, my further goal is to bring the discussion about LGBT elders’ needs, wants, and realities to the larger community. We LGBT older adults have made uncountable contributions, large and small, to our communities throughout our lives. When we’re no longer able to fully care for ourselves, we too deserve to be able to call the place we move to, not our new closet, but our new home.